How I write, why I write, and the classic joke about two porcupines making love: All in Peggy’s interview @ventsmagazine. Read it here! From @EponymousReview: “The complex emotional tapestry that is amore served as the inspiration behind Peggy Sarlin‘s latest release Let There Be Love. The singer-songwriter – who has previously composed for the likes of Bette Midler and Patti LuPone – explores the power of the heart through beautiful lyrics and captivating melodies throughout the album. Peggy is delighted to release her first-ever single, "I'll Be Right Over." Inspired by her love of Motown, she wrote this upbeat tune, and serves it lovingly with a slice of soul. Produced by Jeff Franzel. Available on Spotify, iTunes, CD Baby, Amazon. 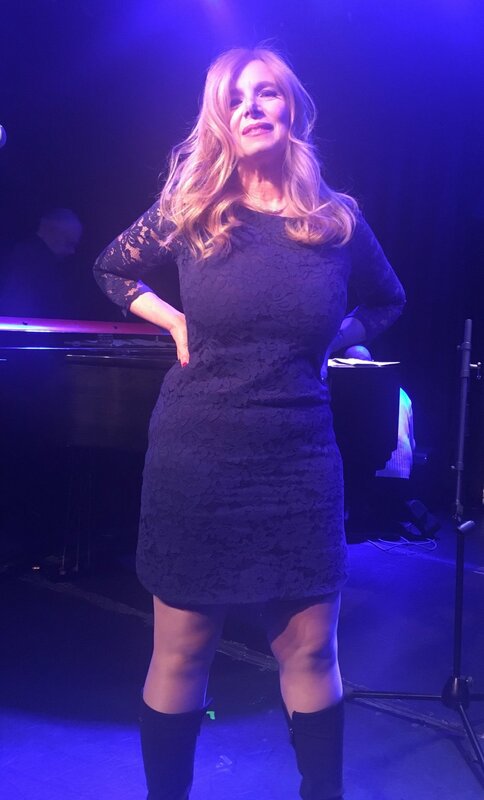 Peggy Sarlin, who's written for Bette Midler, Patti LuPone, and Disney, will debut her new band at The Metropolitan Room on Wednesday, April 26 at 7 PM.